Preheat oven to 180°C (355°F). Place the onions in a small baking dish. Pour over the salt and roast for 1½ hours or until tender. 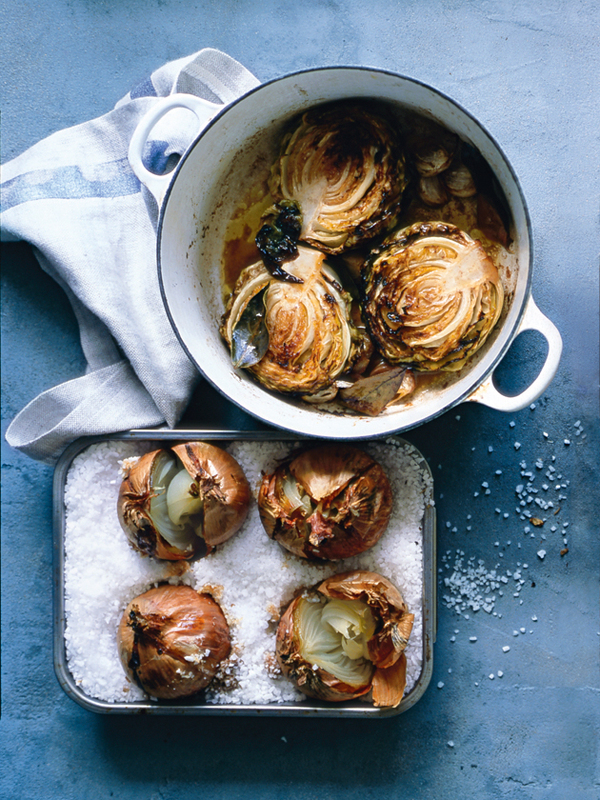 + Roasting in salt results in sweet, caramelised onions.